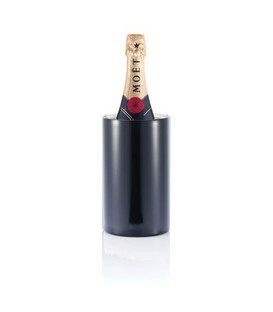 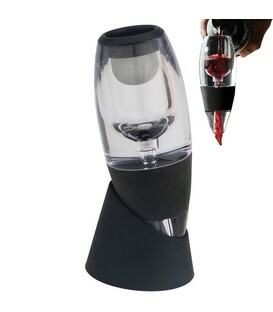 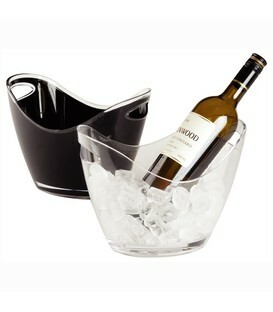 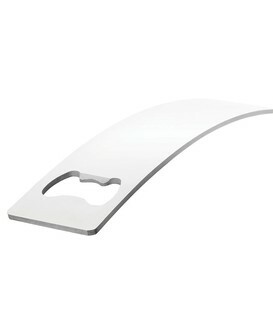 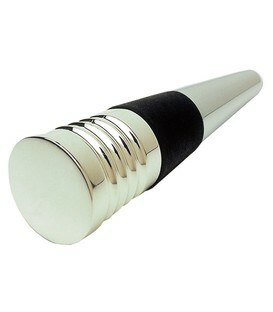 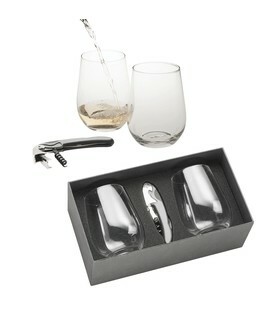 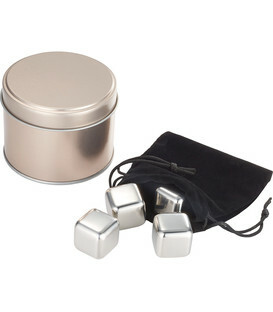 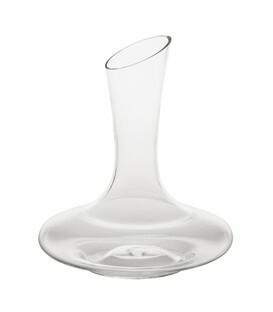 Set includes four stainless steel beverage cubes that will keep your drink cold and not water it down like ice. 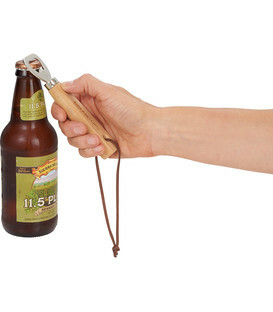 Wood handle bottle opener with leather wrist strap. 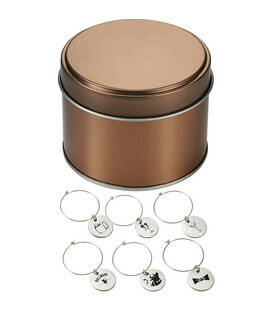 Identify your cocktail or make your drink stand out from the rest with this drink charms set. 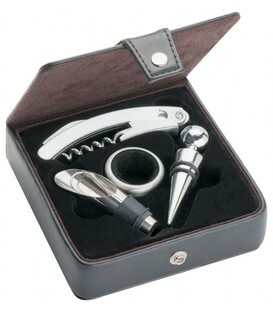 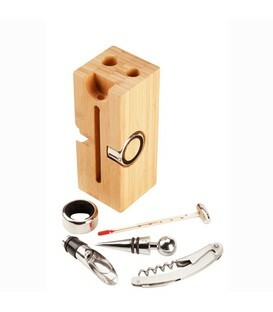 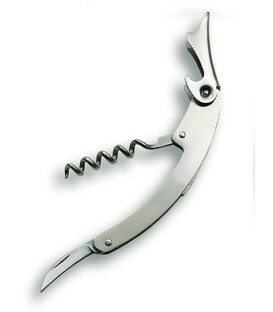 The seven piece set includes set of six drink charms each decorated with unique artwork with a ring large enough to fit most wine glasses and bottle necks. 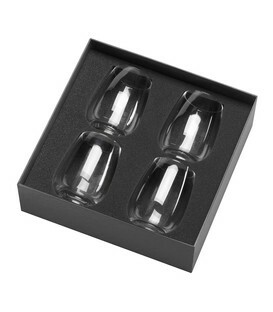 Packaged in a storage tin. 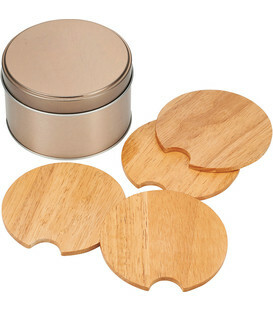 This five piece coaster set includes 4 wood coasters with storage tin.